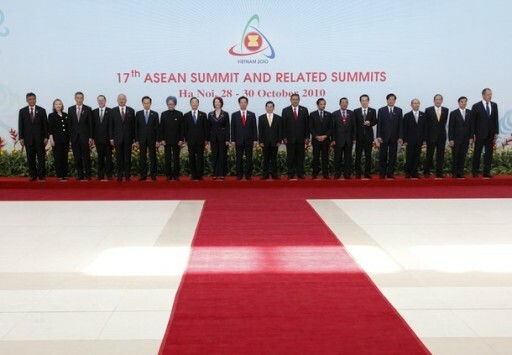 HANOI, October 30 (KATAKAMI / Itar-Tass) — The leaders attending the Russia-ASEAN forum have adopted a joint statement, in which they recorded common approaches to problems of security and economic development in the Asia-Pacific Region, as well as to the deepening of dialogue partnership. 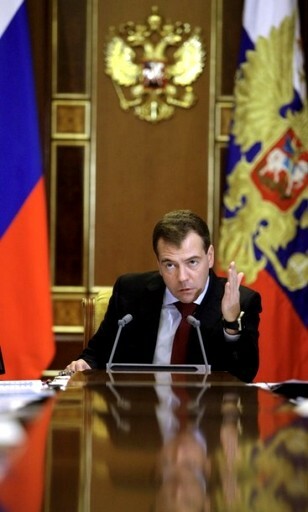 President Dmitry Medvedev took part in the summit. “ASEAN expresses full support for the Russian-American START Treaty. With this in view we reiterate our allegiance to nuclear non-proliferation and disarmament,” the leaders stressed. The leaders reiterated their desire to jointly fight terrorism and agreed to step up contacts between law enforcement agencies. The leaders pointed to “the growing topicality of the formation in the region of the partner network of multilateral associations and forums. Both Russia and ASEAN will take action for the development of cooperation between ASEAN and Shanghai Cooperation Organization, as well as their anti-terrorist structures.” So far as economic cooperation is concerned, “Russia is going to render assistance to ASEAN in the implementation of the plan of the creation of the ASEAN Economic Community for the development of business in the region.” “We shall analyse a possibility of the expansion of cooperation in industry, of the development of small and medium business and of the exchange of scientific and technological finds in the sphere of energy,” the joint statement said. October 30, 2010 HANOI (KATAKAMI / THE STRAITS TIMES) — PRESIDENT Dmitry Medvedev arrived in Vietnam on Saturday for a visit that will see Russia sign a multi-billion-euro nuclear power plant deal with the former Soviet-era Communist ally. 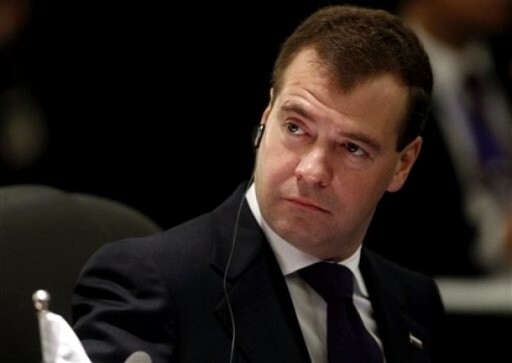 Mr Medvedev said he was expecting ‘serious results’ from the trip, which is aimed at establishing wider energy ties. Referring to close links between the Soviet Union and Vietnam in the 1980s, Mr Medvedev said he hoped their shared history would provide a firm foundation for a tight, modern-day economic and political partnership. ‘We were together with the heroic Vietnamese people during the years of its fight for independence and reunification, during the complicated period of reviving its national economy,’ he wrote in an article for the Vietnamese newspaper Nhan Dan, the text of which was released by the Kremlin. The president is scheduled to meet top Vietnamese officials on Sunday and agree on the construction of Vietnam’s first nuclear power plant. October 29, 2010 (KATAKAMI / RIA NOVOSTI) — Russian President Dmitry Medvedev will discuss energy security and disaster response with Southeast Asian leaders at the Russia-ASEAN summit in Vietnam on Saturday, a presidential aide said. 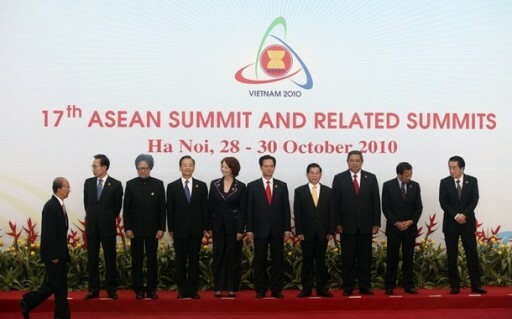 Sergei Prikhodko said on Friday that discussions at the meeting in Hanoi would also cover trade and space cooperation. 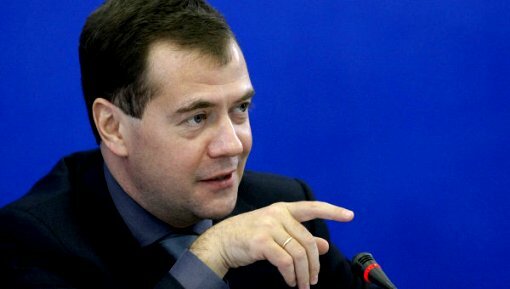 Medvedev is due in Vietnam on an official visit at the invitation of his Vietnamese counterpart, Nguyen Minh Triet. “The forthcoming summit will be an important step in solving the task… of strengthening our country’s presence in the Asia-Pacific region and increasing participation in the regional integration process in order to boost modernization and innovative development of the national economy,” Prikhodko said. Russia holds partner status in the Association of Southeast Asian Nations (ASEAN), a regional grouping of 10 Southeast Asian states. Next year marks 15 years of the Russia-ASEAN partnership. “Among the priorities of Russian-ASEAN cooperation are increased trade and economic ties, cooperation in regional energy security, modern technologies, space exploration, medicine, information technologies and machine-building,” Prikhodko said. In the run-up to the summit, Russia and ASEAN adopted an energy cooperation program encompassing both nonrenewable and renewable energy sources, as well as environmentally-friendly technologies. “Particular attention will be paid to building up cooperation in disaster response,” the Kremlin aide said. ASEAN was established in August 1967 and comprises Indonesia, Malaysia, Singapore, Thailand, the Philippines, Brunei, Vietnam, Laos, Myanmar and Cambodia. 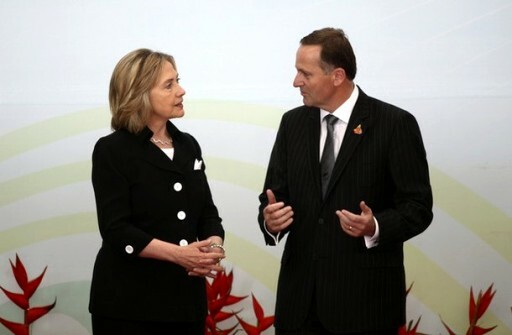 The United States, Japan, Australia, New Zealand, Canada, the EU, South Korea, India, China and Russia hold a partner status in the organization. Papua New Guinea has a special observer status. The organization’s goal is contributing to the development of member countries’ social, economic and cultural cooperation, as well as to the consolidation of peace and stability in Southeast Asia. With a total population of 580 million people, GDP of $1.5 trillion, stable economic growth and foreign trade turnover of $1.7 trillion, ASEAN remains one of the world’s largest regional bodies, playing an important role in shaping security and cooperation in Asia-Pacific. 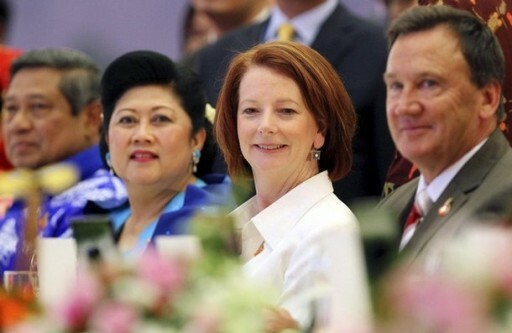 October 29, 2010 HANOI (KATAKAMI / THE STRAITS TIMES) – LEADERS of 10 southeast Asian countries will try on Thursday to fast-track an ambitious plan to establish a political and economic community by 2015 while hoping to dodge discord over military-ruled Myanmar. 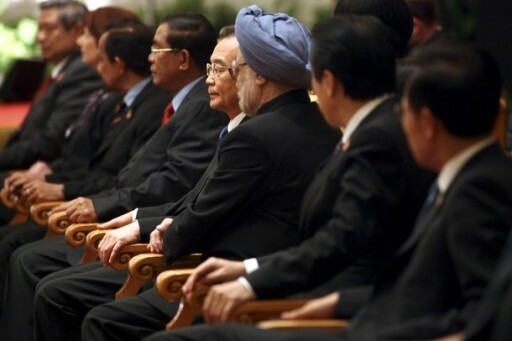 Later in the week, leaders of the Association of South East Asian Nations (Asean) will be joined in Hanoi by colleagues from six Asian powers, including China, Japan and India, for a summit that will highlight Asia’s role as the engine of global growth. The region is once again attracting billions of dollars in capital inflows and its stock markets are among the world’s best performers this year. 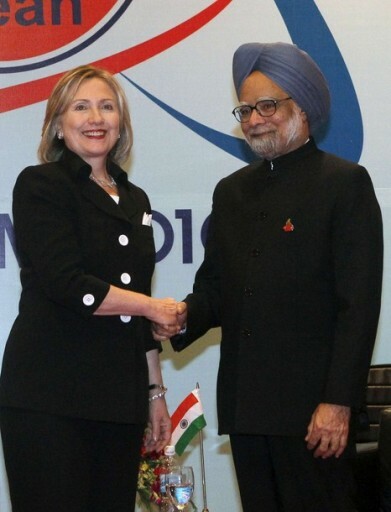 US Secretary of State Hillary Clinton joins the summit of 16 Asian countries on Saturday, underscoring a drive by the US administration to re-engage with Asia after a period of relative neglect amid unease about China’s new assertiveness. Recent tension between China and Japan over disputed islands will also likely be addressed in talks of some kind between Asia’s two largest economies. 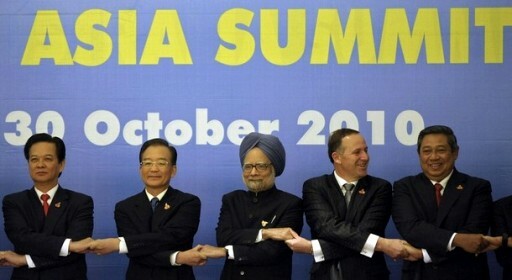 October 26, 2010 (KATAKAMI / RIA NOVOSTI) — Russian President Dmitry Medvedev will attend the Association of Southeast Asian Nations (ASEAN) leaders’ summit in Hanoi, Vietnam, the Kremlin press service said on Tuesday. 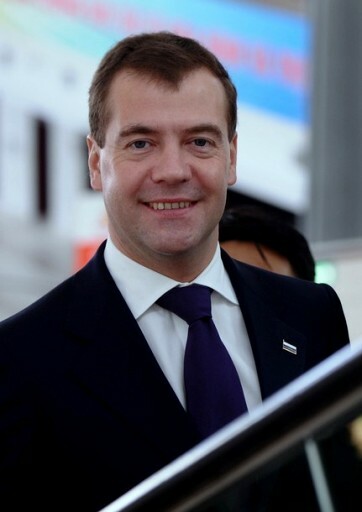 Medvedev will arrive in Vietnam on an official visit at the invitation of Vietnamese President Nguyen Minh Triet. 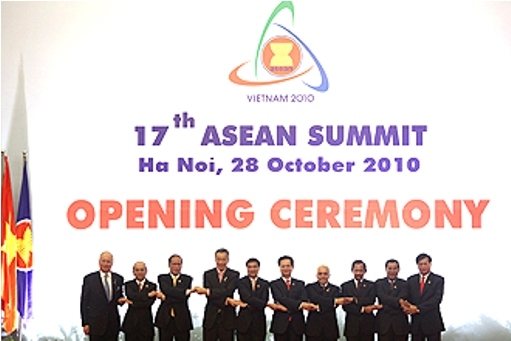 ASEAN was established in August 1967, and comprises Indonesia, Malaysia, Singapore, Thailand, the Philippines, Brunei, Vietnam, Laos, Myanmar and Cambodia. The United States, Japan, Australia, New Zealand, Canada, the EU, South Korea, India, China and Russia hold a partner status in the organization. Papua New Guinea has a special observer status. The organization’s goal is contributing to the development of member countries’ social economic and cultural cooperation, as well as to the consolidation of peace and stability in Southeast Asia.